The Kiss of Death Chapter's 2007 Daphne du Maurier Award for Excellence in Mystery/Suspense is rapidly approaching, and although the body count is adding up, there's still room for yours! So pull those manuscripts out of the crypt and send them post haste. Why? Because the deadline is March 15, 2007. What happens if you don't? It frightens us to say. The Daphne has enlisted the help of some acquiring editors and agents as final round judges who rarely judge contests. For every new scene, there’s typically some sort of description to ground the reader into the setting. Whether it’s a kitchen in a quaint farmhouse, or a Regency drawing room, or the wild Montana wilderness, or an urban police station. As writers, we strive for accuracy. Farmhouses typically don’t have crystal chandeliers, and Regency drawing rooms wouldn’t have a computer sitting on the Chippendale desk. But don’t just give your readers the visual descriptions—give them the experience of walking into the setting by stimulating their olfactory senses. In other words, smell. Our scent memory is incredibly powerful. We don’t necessarily remember the exact smell so much as we feel certain emotions triggered by a smell, or even the mention of a specific scent. The writing book Self-Editing for Fiction Writers by Renni Browne and Dave King (second edition) is one of the best books for bumping your writing up to the next level and making it look more professional. If you haven’t read this book yet, I strongly suggest you buy it or borrow it and read it right away. They suggest eliminating dialogue tags in favor of action beats. For example, instead of he asked, she said, he demanded, replace the dialogue tags with action beats whenever possible. The reason is that dialogue tags are often redundant. Many times, it’s already obvious who is speaking. The dialogue itself can sometimes indicate how the character is speaking, with what emotion. And dialogue tags are often accompanied with an –ly adverb, which can be “telling” the reader the emotion when you should “show” it instead. “Did you have to kill the postman?” he demanded angrily. Dave sailed into the kitchen. “How are you doing, Mary?” He stopped short. Camy here: This is one of the best resources for Christian writers who want more information about magazines, publishers, and agents. I personally used the magazine listing more than anything else, especially in trying to find markets to publish my short fiction stories. This is only a jumping-off point—it’s up to the writer to get sample copies of the magazine and figure out the style and tone of the articles for each publication. But writing articles is a terrific way to beef up your resume, even if you’re writing a novel at the same time. One thing I do caution is for writers to write what they delight in. If you don’t like writing articles or short stories, then don’t. But if you enjoy it, then go for it and beef up your resume. After I was contracted, several people—including my senior editor and my agent—mentioned that one reason I was so "sellable" to the publishing committee was because I had a definite brand and niche in the marketplace. I know many authors hate to brand themselves or lock themselves into a certain genre or type of writing, but because it's becoming so difficult to get a contract these days, it's definitely something to think about. Several writers have been published in multiple genres quite successfully, but unfortunately, they are very few and far between. To maximize a writer's chances of presenting a manuscript that will be accepted to a pub board, they have to think about branding. The pub board doesn't care as much about the writing--after all, that's why the manuscript has gone through the editors, to ensure the writing is strong. 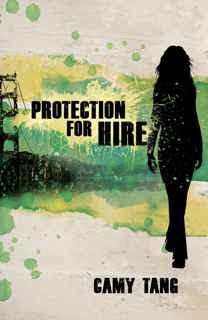 The pub board cares about if they can sell this book to booksellers, if they can make any money off of the print runs. I can’t believe I haven’t mentioned anything about the Genesis contest yet. Well, it’s finally here! 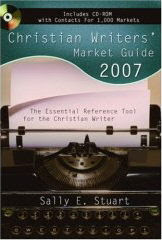 The 2007 Genesis contest for unpublished writers, put on by American Christian Fiction Writers. 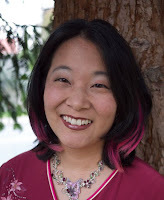 The Genesis contest, formerly known as the Noble Theme contest, is becoming one of the largest Christian Fiction writing contests in the world. Yours truly is the contest coordinator (again) this year. Head on over to the Genesis page on the ACFW website for more information. --It is all electronic this year, which means no postage, no printing, no copying, no self-addressed stamped envelope, no entries or scoresheets lost in the mail. You don’t want your protagonist to be perfect—repeat after me, Perfect is boring—but you do need your protagonist to be likable. Think to yourself what makes your friends and family likable. What traits, actions, feelings, morals? What do you most admire in others? Give those characteristics to your protagonist. Look at other books, plays, and movies and take note at how the author makes the character likable (or fails to make the character likable). For example, in Jane Austen’s Emma, the heroine is mistaken in her observations and decided in her head-strong opinions, yet she is likable because she often shows genuine love for her silly friend Harriet, acknowledging how Harriet’s open and heart-felt manner makes her a better person than Emma herself. Emma is certainly not perfect—if she were, the story would be only a couple chapters long—but Austen makes her likable with actions and traits that make the reader respect and admire her. Make your own characters strong, flawed—and likable. You don’t need a paragraph to describe your character, whether the Point of View character or any other character in the scene. A segment of descriptive narrative slows down the reading flow, and you want to keep your reader riveted to the page. Make character descriptions short, strong, and unique. Short—Again, you don’t need a paragraph. Start off with a short phrase or sentence at the beginning of the scene, and sneak in bits of description as the scene progresses. Strong—Use vivid and specific language. Don’t be wishy-washy and use words like nice car, lovely flower, short man. Instead, use richer language like firecracker-red Mazda RX-7, a crisply unfolding creamy orchid, a few inches above a fire hydrant. Unique—Avoid clichés. Period. Instead of dirty dishwater blonde, think up something more original and unusual, limp hair lying in strips like a paper mulberry tree. Read good writing to see good description at work. First off, let me say that I personally don’t advocate basing characters off of people I know. Aside from the fear of being sued, it can be awkward if the person doesn’t like how you portray them, or if other people don’t like how you’ve portrayed them, or if other friends get their feelings hurt that you immortalized so-and-so in print but not them. However, each person has traits you can borrow, and you can create your characters out of a composite of these traits. My father-in-law’s tendency to always tell bad jokes made it into my heroine’s Uncle Howard. My dad’s favorite pastime, bowling, made it into my heroine’s father. I do my best not to base the majority of a character’s personality off of a single person. I’ll usually try to come up with something general such as a mythological archetype (see 45 Master Characters by Victoria Lynn Schmidt) and then create a three-dimensional personality by adding a unique background and different traits.